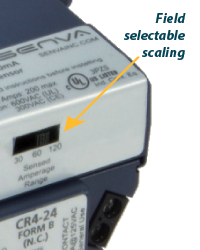 Senva analog transducers measure AC current and provide a proportional output for load trending and control. 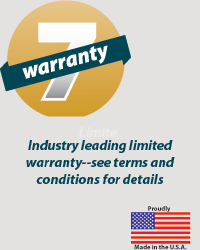 Choose from easy to install split-core or compact solid core. 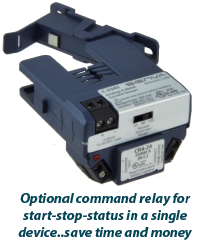 Selectable ranges and optional command relay make for a versatile transducer. CR3-24 N.O. 10A@125VAC 24VAC/DC, 15mA nom. CR4-24 N.C. 10A@125VAC 24VAC/DC, 15mA nom. CR3-12 N.O. 10A@125VAC 9-12VDC, 30mA nom. 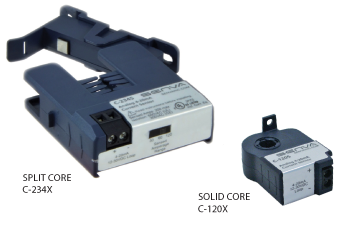 CR4-12 N.C. 10A@125VAC 9-12VDC, 30mA nom.